Two excellent breads. Both look fantastic. Is there a reason to soak the flaxseed? And thank you for posting them. 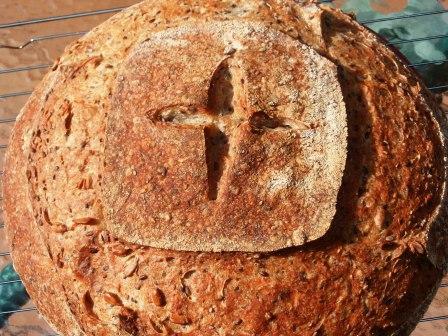 The one from Bread is especially enticing. Weavershouse, you know me. I'll try anything. I've used both soaked and unsoaked seeds. IMHO, with higher hydration dough there's no necessity to soak seeds when making sourdough considering its lengthy fermentation. I will bow to those who know better, however. 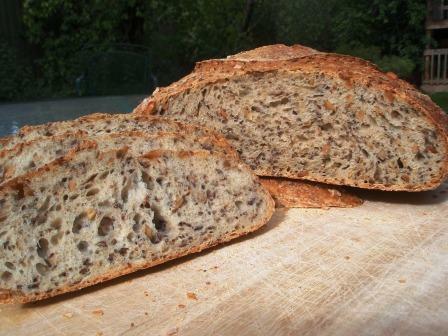 I love the look of the crumb with the seeds! Thank you for sharing these breads. I couldn't agree more with you on the need to have the starter up and healthy. As you say, just a couple feedings makes all the difference. WH: I love the flavor from soaked flax seeds. There is a deep wholesome flavor and aroma after soaking. I also have read that raw flax seeds are indigestible and thus do not release the goodness of flax oil. Soaking or grinding releases the nutritional value. ... for the nice comments! And it has already been explained why the flax seeds should be pre-soaked. Try it, weavershouse, and you'll probably be surprised by the gelatinization that occurs, it all turns into a very gooey mass. 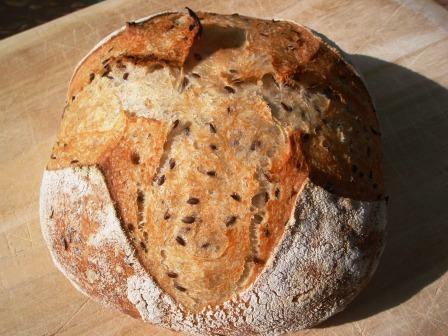 I love the idea of making the seeded bread as a miche. 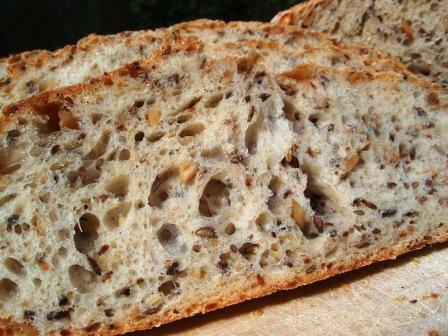 The crumb is outstanding! 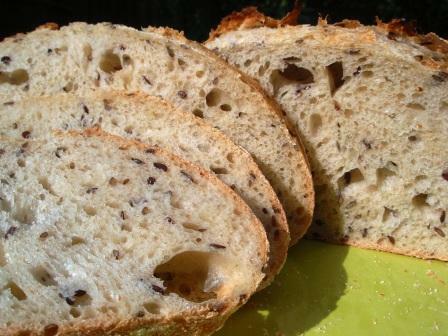 BTW, the seeded bread makes amazing toast. 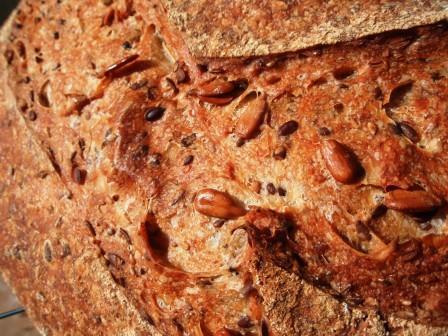 The crust gets wonderfully crunchy, and the toasting accentuates the flavor of the seeds. Yum! Absolutely terrific breads, both of them! They look perfect, and will keep fresh for days, I'm sure. Eric mentioned one reason to soak flaxseeds. 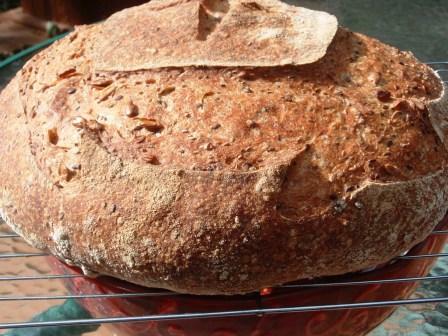 Another is that if you don't soak them prior to mixing, they will rob moisture from the dough during fermentation. You'd have to mix the dough wetter than usual to account for the moisture absorbed by unsoaked grains, and that makes it harder to develop gluten properly. Also, it can be a pain to figure out how much additional water you'll have to add, as different seeds soak different amount of water. David, Carl and Hans Joakim for your kind words. 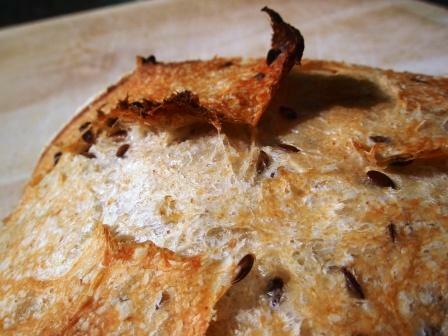 I have already discovered how fantastic the seed bread tastes when toasted - difficult to stop eating! 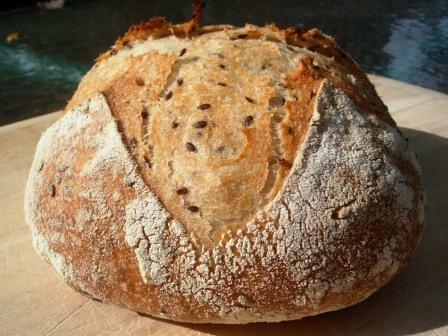 And yes, very important, the moisture loss when one adds non pre-soaked seeds to a dough - thanks for pointing that out.